Chop a half a head of cauliflower into florets, place on baking sheets, and drizzle the mixed ingredients over cauliflower. 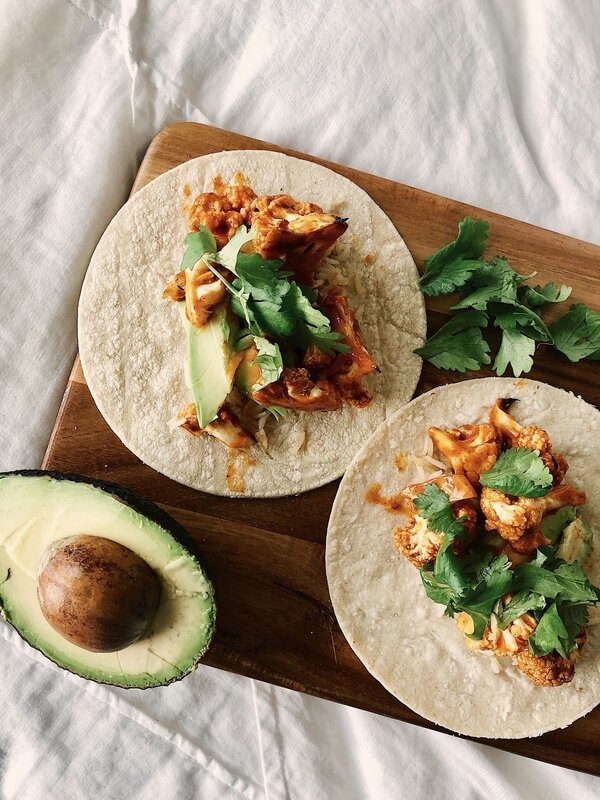 Once baked, place cauliflower back in the bowl and add 1/2 cup of buffalo sauce to the cauliflower and then assemble into tacos! We used almond flour tortilla!